We feel there is a serious lack of quality female vocal hooks on the market right now. So we brought 2 of our famous voices: Tonka &amp; Sandrah into the studio to record this unique vocal collection. It’s deep, hypnotic, rare sample pack you won’t find anywhere else. 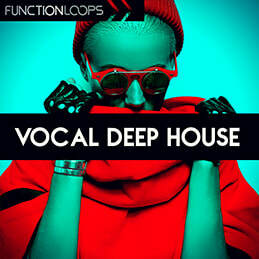 ​‘Hypnotic Female Vocals’ delivers over 500MB of key-labelled vocal content, enough ideas for a bunch of tracks. All vocals come as Dry/Wet versions for maximum flexibility. Content is royalty-free, you can use the sounds in commercial productions with no extra cost. All the music loops you hear in the demo are included too, as bonus. These voices will be a serious add-on to any Deep / Tech House, Techno, Psytrance or Progressive track, but will definitely fit in any other music genre, seeking hypnotic vocal presence.